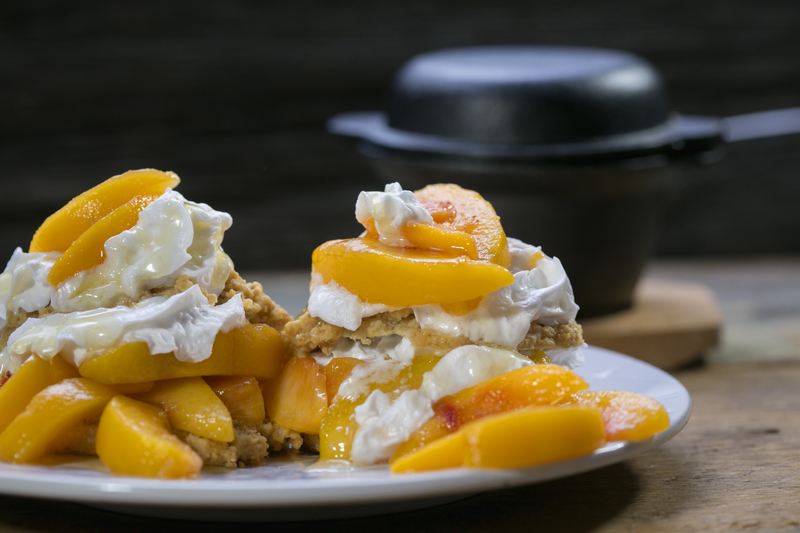 Sweet peaches are served on a maple scone with fluffy cream. Millions of peaches... peaches for ME me me!!! I love peaches! I love the smell, the texture and the taste. The only thing better than peaches all on their own? Peach shortcake! I had personally never tried peach shortcake until my mother-in-law made this at the family cottage about 12 years ago. And when I did, I fell in LOVE. Bring on the peaches, baby! I combine fresh peaches with a scone recipe (thank you England for that fantastic invention) and ta-DA — it's the perfect shortcake duo! Fold dry ingredients into wet by the 1⁄2 cup and blend. Drop the batter by two tablespoons two inches apart onto prepared baking sheets. Bake for 12-17 minutes and enjoy heaven! Let the scones cool down before serving. Ideally you will serve them while they are still warm, but you can reheat them too. Cut the scones in half, and layer the marinated peaches on top of them. I LOVE to add dairy-free cashew ice cream and allow the ice cream to drip all over the peaches and then soak into the scone. Enjoy every decadent bite and with each mouthful know that your taste buds are all in! OR you can also make whipped coconut milk cream. Step 1: Buy a can of full-fat coconut milk. Step 4: Carefully spoon out the top layer of opaque white stuff that has gathered at the top of the can. Spoon into a mixing bowl. You will be left with about 1⁄2 cup of white syrup-y looking translucent liquid. Leave this in the can and save to add a soup or a dessert. Step 5: Add two tablespoons of pure maple syrup and one teaspoon of vanilla extract. Step 6: Whip the coconut milk with a hand beater or hand mixer starting on low speed and work up to high speed. Make sure you do an up and down motion with your hand to allow air to make the coconut cream as fluffy as possible. Add to coffee, pie or anything else that requires whipped cream! 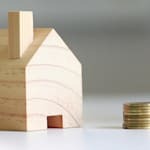 Want to learn more about living SMART? Learn to see food not as the enemy in your health journey, but as a friend, with Kathy Smart's five-week Live the Smart Way Program.